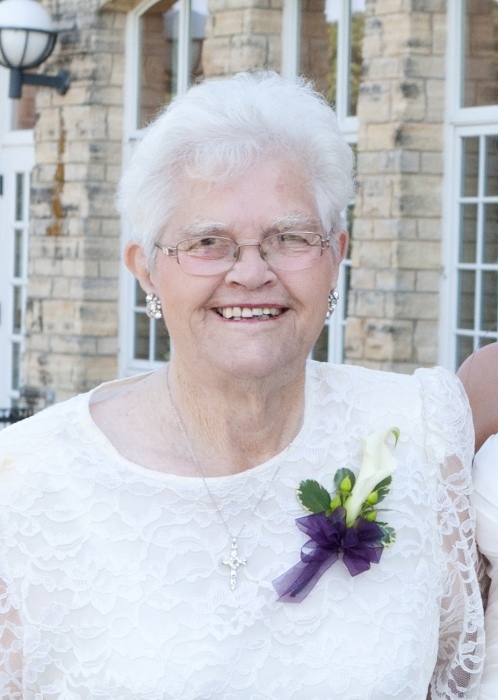 Margie Mae Lemon, 85, of Curtis formerly of Hayes Center, died June 29, 2018 at Senior Living Choices in Curtis, NE. Margie was born on July 22, 1932 on the family farm in Wilber, NE, daughter of Robert John and Marie Lena Sophia (Vonderfecht) Kappelmann. Margie went to summer college at McCook Junior College and spent 4 years as a teacher before becoming a dedicated farm wife. The family moved to a farm near Linn, KS when Margie was nine. They moved to a farm north of Max, NE when she was thirteen. Margie married Earl Lemon on March 7, 1951 in Texas. They moved to Max and farmed there from 1952 until they moved to Palisade to farm in 1953. After Earl died in 1986, Margie moved to Hayes Center. In 2012 Margie moved to Senior Living Choices in Curtis. She enjoyed gardening and was a member of the Garden club and Extension club. Margie was very active in her church. Margie was a busy farm wife, she enjoyed doing farm chores, driving trucks and tractors and helping out on the farm in whatever way she could. She is survived by her children, Carol (James) Homolka of Genoa, Linda (Darrell) Fisher of Moorefield, Margie McDowell of Arnold, Patty (Bill) Burrows of North Platte, Robert (Dawn) Lemon of Curtis; 17 grandchildren and 15 great grandchildren. Margie was preceded in death by her husband Earl A Lemon, daughter Laura Lou Lemon, brother Dennis Kappelmann, son-in-law Kendall McDowell and grandchildren twins Heidi and Thane Burrows. Visitation will be held at Blase-Wetzel-Strauser Memorial Chapel, Curtis, Nebraska; Thursday, July 5, 2018, 1:00 pm - 7:00 pm with the family present from 5:00-7:00 pm. Services will be held at First United Methodist Church - Curtis, July 6, 2018 at 11:00 am with Pastor Tunde Oladimeji officiating. Burial will follow in the Rose Hill Cemetery, Stratton, NE. Memorials may be given to the Senior Living Choices or Hayes Center Senior Center.